One of badminton’s top female players Spain’s Carolina Marin suffered an awful injury as she ruptured her anterior cruciate ligament (ACL) during the Indonesia Masters final. The knee injury is consider one of the worst an athlete can have and usually means a lengthy lay off. She attempted to continue but badminton is a sport that requires lots of jumping and twisting and turning all of which puts enormous strain on the knees. That meant her opponent India’s Saina Nehwal claimed the title. Carolina Marin’s ACL injury means she expected to out of action for at least six months. For those of you that don’t follow professional badminton closely Carolina Marin is a 25 year old player from Spain that is consider one the best female players having won the three World Championship titles and four European titles. She has been ever present in the top 10 of the World Rankings over the last eight years or so. Her singles career which is where she has concentrated most of her efforts shows a record of winning an impressive 339 matches whilst losing 103. ACL Injuries are particularly nasty and recovery can be unpredictable but most players are back within six months. Here’s wishing Carolina a speedy recovery and I hope to see her on the court later in 2019. You can see the final and the anterior cruciate ligament (ACL) injury in the video below, Carolina Marin attempts to continue but realises it simply is not possible. 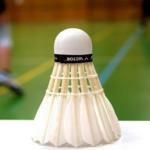 GB Badminton has funding cut, where does this leave the sport?